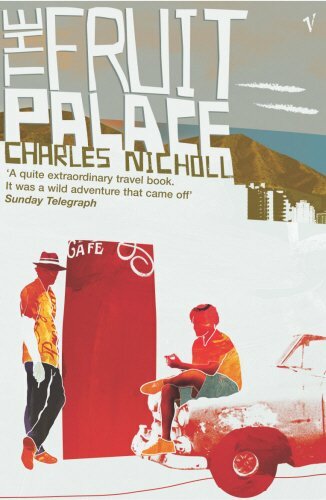 The Fruit Palace initially began life as a much shorter piece written on a dodgy cocaine deal from the whitewashed cafe after which the book is named that is used for a range of nefarious deals. After the stories subsequent rejection from Rolling Stone, it is recast some 12 years later as the opening chapter of The Fruit Palace. Written in the best tradition of Hunter S. Thompson, The Fruit Palace delves deep into its subject matter, the manufacturing and distributing of cocaine. The blow-by-blow account of how cocaine is manufactured in the jungle laboratories, illustrates the lengths to which Nicholl goes in his research. And Nicholl is there to capture it all line-by-line. Surprisingly, there is also a lot of travel infused into the main story, and it is here that Nicholl is at his descriptive best, whether recalling the beauty of Colombia's jungles, its people or its crumbling architecture. Nicholl also manages to infuse a fair bit of humour between the pages. Not snort out loud funny, but entertaining in that typical English understated way, all the same. Yes, The Fruit Palace is dated. The Colombia of today represents nothing like the Colombia that Nicholl travelled through, both literally and in his mind, in the 1980s. But The Fruit Palace still represents a genuinely original piece of gonzo journalism that effortlessly cuts fact with fiction and is a travel story that is not to be sniffed at.